Well… only five months since Hedge-sparrow’s last Listener, which was the enjoyable puzzle based on John Masefield’s Cargoes (No. 4417, HMS Arcady). My money was on this puzzle celebrating an anniversary, or something based around the end of February. 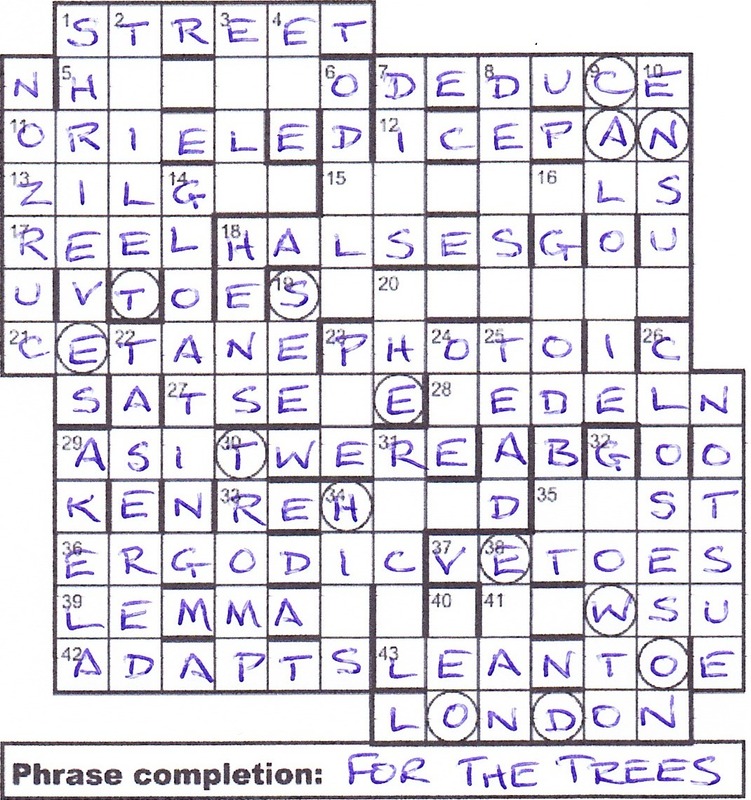 This week we had six answers needing to be jumbled before entry and extra words in the down clues where first and fourth letters spelt out two instructions. A quick run through the clues took just twenty minutes and resulted in a dozen entries. One of these was 5ac Hug aged lout, not entirely with indifference (6) for APATHY which looked as though it would need jumbling. Of course, rereading the preamble would have alerted me to the wordplay in such clues leading to the jumbled form. Once the enjoyable 6dn [Re-evaluate] how road crew is selected for race, remarkably (5) was solved for ODDLY, 5ac COOLLY was entered as COLLYO (COLL + YO[b]). I found parts of the grid quite tricky, especially the bottom right. 19ac Part of vehicle circling cam ring as an orbital body (8) gradually became more and more like SYCAMORE until 19dn Letter [deferring] support (3) made me realise that it was an anagram of COMETARY (TYRE about CAM O). Sometimes I just can’t see the wood… oops, I’m getting ahead of myself! This was one of those puzzles where I felt I had taken much longer than the clock told me. In fact, it was just 2¼ hours from beginning to end. The clues were all solid, my favourite being 42ac Converting one bit of lead to the next, ancient alchemists making changes (6) for ADAPTS (ADEPTS with (l)E(ad) changed to (le)A(d)), as well as the novelty of 6dn mentioned above. I suppose a knowledge of UK controversial rail schemes was useful, but overseas solvers could use the internet to track down HIGH SPEED TWO which had its even letters already in the NW–SE diagonal. The trees thus revealed were HOLLY, GARDENIA, SYCAMORE, YEW, ELDER and SALLOW. These then had to be erased with the exception of the letters that intersected the diagonal. The two termini of the line at Birmingham CURZON STREET and LONDON EUSTON completed the NW and SE corners of this oddly shaped grid. Finally, the cells inscribed with a circle spelt out CAN’T SEE THE WOOD and I slotted FOR THE TREES into the space under the grid. I suspect that ‘contentious’ may be a suitable adjective for the theme of this puzzle, but it was an enjoyable solve. Thanks, Hedge-sparrow, and I hope that you aren’t one who is too closely affected by the project. 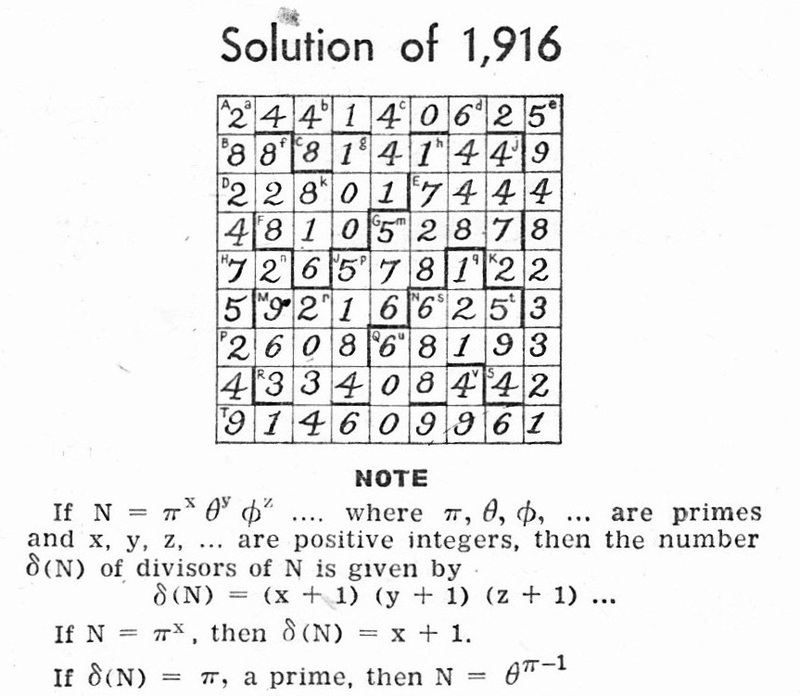 Even though Encota laid out the solution to Rhombus’s puzzle Can You Do Division?, here is the published version from 1967. This entry was posted on 17 March 2017 at 4:00 pm	and is filed under Solving Blogs. Tagged: Hedge-sparrow, Where falls the axe?. You can follow any responses to this entry through the RSS 2.0 feed. You can leave a response, or trackback from your own site.